The Office@Hand Enterprise Large List feature enables the search capability for administrators to find needed information in both in your online account and mobile app. When an organization is growing, the phone lines, users, and devices are increasing as well. It becomes a challenging and time-consuming task for administrators to find a specific person, number or phone devices while managing his organization’s phone system. 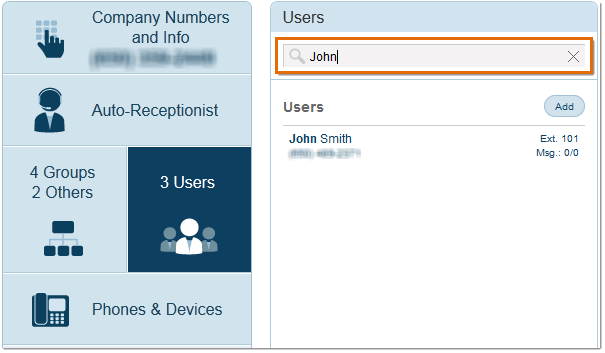 With the search feature, an administrator can easily find relevant users, lines and devices to set up a calling queue group, for example.